The UGI Pipeline and Public Safety team provides safety training for excavators, plumbers, emergency responders, and other utility partners to help you stay safe when working near or with utility equipment and lines. We believe that damage prevention is a shared responsibility and through effective partnerships, America’s infrastructure can be maintained and replaced without major service outages. UGI takes the safety of the public and underground facilities very seriously and is engaged in programs at the local, state and national level to reduce damages to our gas and electric lines. To further support our commitment to reducing damages, UGI offers education and training to excavators, designers and various community and industry associations who may plan projects for excavation or demolition adjacent to our facilities. Request to schedule an 811 Safe Digging training session. In Pennsylvania, the One Call System has established "Call Before You Clear," a call to 8-1-1 by an individual clearing a sewer line to avoid the potential dangerous situation of a cross bore. UGI believes that education and awareness regarding a cross bore is a key to preventing an incident and insuring safety when a clogged sewer line is encountered. There are a several indicators to be aware of that may suggest the potential of a cross bore and is part of the education that UGI provides. 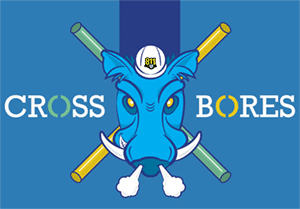 Get more information on cross bores and request to schedule a Cross Bore Awareness training session. UGI values the public safety partnership with emergency services in the communities we serve. To continue to grow and foster that relationship, we provide several opportunities with our “Are You Prepared” program. We interact with emergency responders to better understand our energy products and procedures we apply when called upon to assess and mitigate a potentially hazardous condition related to natural gas or electric distribution facilities. UGI provides several training opportunities for Emergency Services. See a listing of training opportunities and request to schedule a session.